Peanut butter. Chocolate. Protein Pancakes. What's not to love? -In a blender combine oats, protein, cottage cheese, egg whites, and baking powder. Blend until smooth. -Spray pan with cooking spray and cook pancake mixture over medium heat. -Make chocolate sauce by combining cocoa powder, sweetener to taste, and just enough water to drizzle. -Make peanut butter sauce by mixing pb2 with enough water to drizzle. 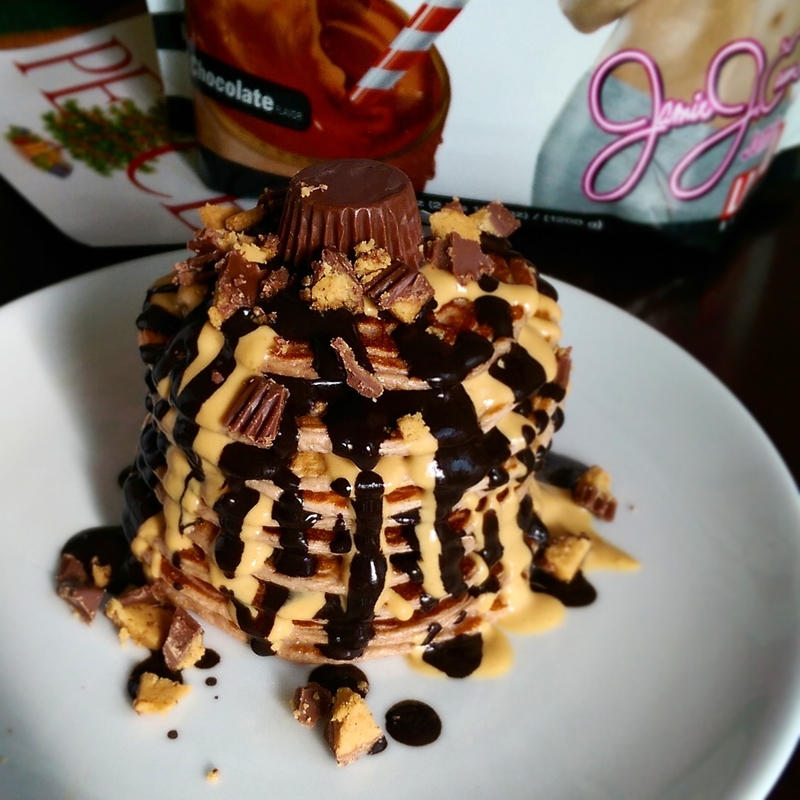 -When pancakes are done top with sauces and 2 crumbled mini Reese's cups.